A loan of $500 helped to buy spares for his electronics shop. This is David who is 51 years old. He is married and a father of 5 children. In addition he financially supports his elderly parents. 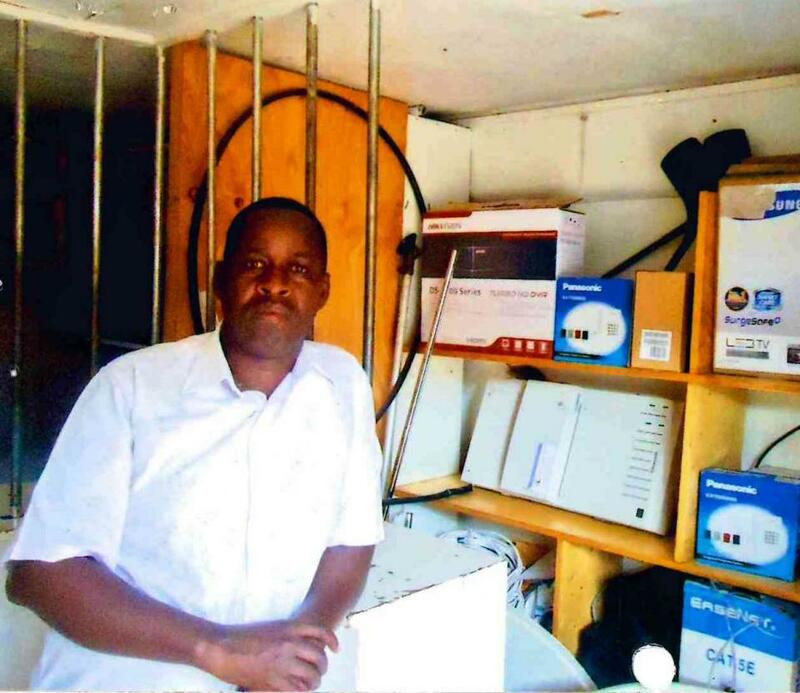 He sells electronic and telecommunication services such as CCTV, Intercom machines and servicing etc. His main challenge is to access finance promptly to expand his business when he requires it especially to attend to his client's orders and with a Kiva loan, he will be able to increase stock in his electronic shop. In his shop he mentors young people to learn his skills. His dreams is to expand his business to higher levels and also to give his children the best education. It gives financial access to low income micro-entrepreneurs. This loan provides low income micro-entrepreneurs with working capital. It enables these business owners to pursue business opportunities and improve their livelihoods and that of their families. By supporting this loan, you provide access to financial services to those with difficulties accessing financing from traditional sources.